The eyes of the modern art world were firmly fixed on the city of Derry~Londonderry as Tino Sehgal won the prestigious Turner Prize. He was nominated for his works entitled This Variations and These Variations. 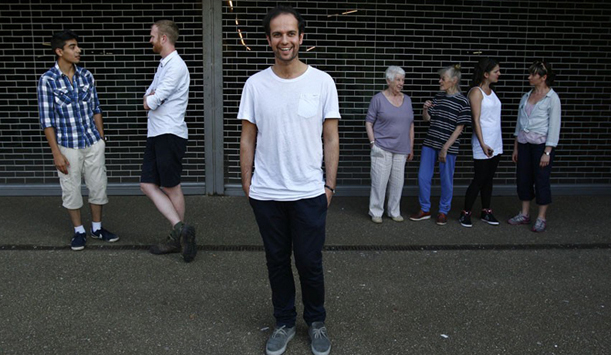 Tino Sehgal’s works consist of purely live interactions with the public. Through participatory means his works stretch the limits of artistic material and audience perceptions. Tino Sehgal managed to beat off stiff competition from French artist Laure Prouvost, who was nominated for her work entitled Wantee and for her two-part installation for the Max Mara Art Prize for Women; British artist David Shrigley, who was nominated for his work Brain Activity; and Ghanaian artist Lynette Yiadom-Boakye who was nominated for her work Extracts and Verses. Of course, this year’s Turner Prize was particularly special. 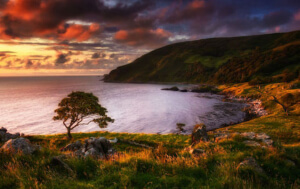 For the first time in the competition’s 29 years, the event took place outside of England in Derry~Londonderry, as part of the UK City of Culture 2013. 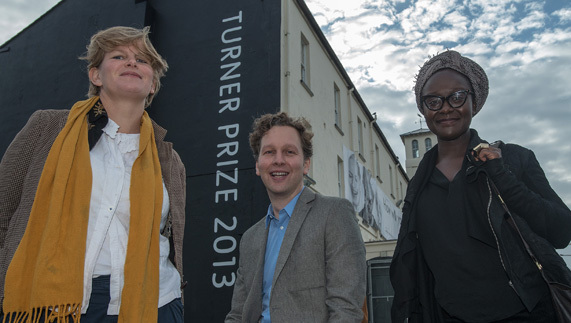 To host an event as spectacular and prestigious as the Turner Prize requires a special venue. Sitting handsomely on the east bank of the River Foyle, The Ebrington (or Star Fort as it’s known locally) began life as a military installation in 1689. Fast forward a few hundred years, and the space was rejuvenated to create a cutting edge exhibition space. You can view all of the works from this year’s Turner Prize for free here in The Ebrington right up until 5 January 2014. Walking around impressive works of art, make sure to take in the view over the River Foyle and Derry~Londonderry’s Peace Bridge. The Ebrington has played an important role in the City of Derry~Londonderry for centuries. This looks set to continue, as it’s now the beating cultural heart of the city. If you think Derry~Londonderry has no more cards left up its sleeve, think again. Events such as the Beyond…what’s possible exhibition, a special performance by The Undertones and The Relief of Derry Symphony will keep the UK City of Culture rocking right up until New Year’s. So don’t miss out on the arts and culture extravaganza that is the UK City of Culture in Derry~Londonderry.